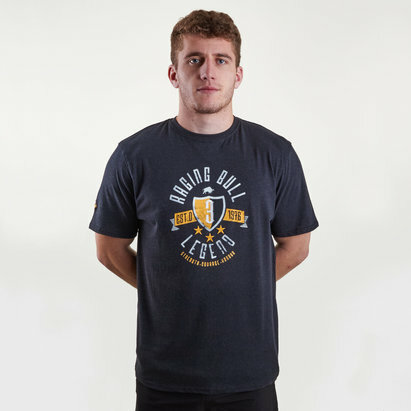 Showcase your style in this Raging Bull 1976 Flag Graphic Rugby T-Shirt. This flag tee has been made from 100% cotton to keep the wearer cool and comfortable no matter what month of the year it is. 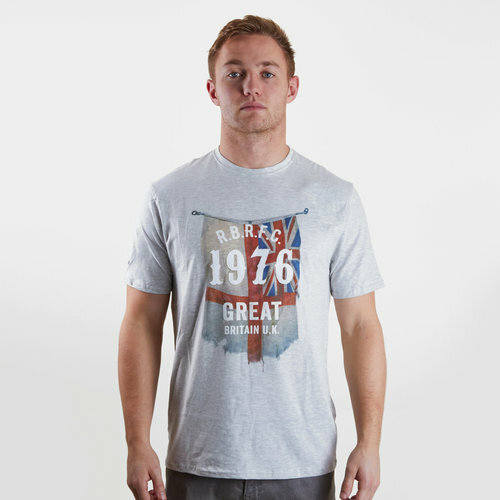 With a round neck this t-shirt is grey with the England and Great Britain flags in a graphic across the front. The Raging Bull logo can be found on the right arm sleeve.